Here’s a preview of what we can expect from the North American Handmade Bicycle Show coming up this week. 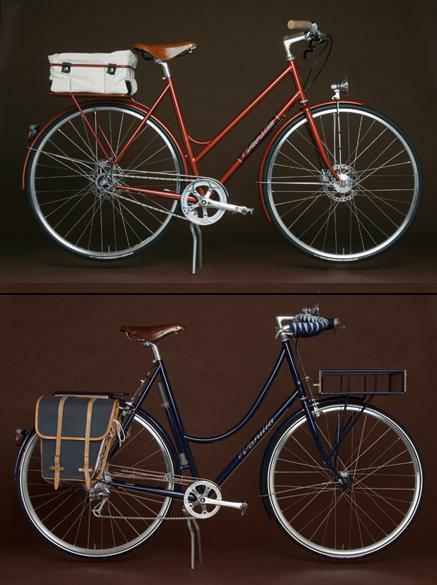 These are step through frame bikes from Vanilla Bicycles. The wait right now for a frame from Vanilla is over five years. Vanilla does some beautiful work, but the long lead time makes it beyond extravagant for me. However, I will certainly enjoy admiring Sacha’s work this weekend at the bicycle show. A Vanilla touring bike is my dream. 5 years is a LOOONG time, but I give Sascha props for remaining small and staying so hands-on. I guess the wait would be much longer if they made frames for men too. Another work of art from Vanilla, Beautiful. IM diggin’ the Y stand too, I wish I could get one for my 29er. Sweet, now that i am days away from adding carbon, do i want to add some weight back on?? hhhmmmm dont know, atleast i know i can get it now!